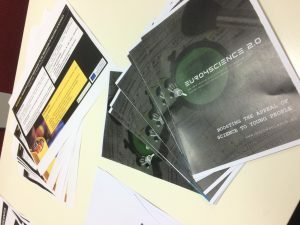 The Euro4Science 2.0 project was presented to stakeholders during the “Best Performance” project meeting held at INOVA +. The Best Performers project – Learning from best performers in education – has started in 2017 and aims to develop and support a living and inspiring exchange of good educational practices as well as their transference to other educational contexts. On a daily basis, teachers and headmasters use innovative and at the same time simple methods to meet school challenges or even use them as opportunities. It is precisely these teachers and directors who we seek to learn from them and make their approaches and methods available to other teachers and schools. These educational practices can be at organizational (school management) or pedagogical (teachers and classrooms) level.